Last month, my eldest daughter turned five years old and, as usual, we hosted a small family party at home for the special day. 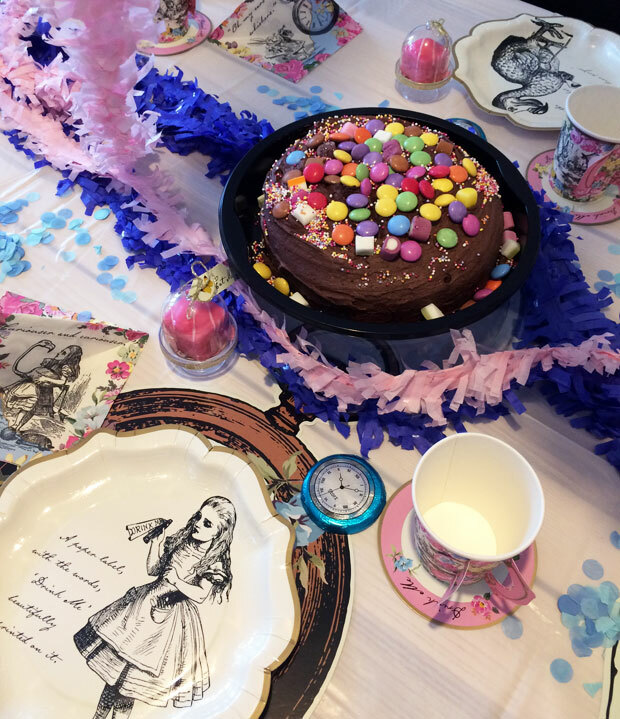 My daughter’s favourite book and favourite film is Alice in Wonderland so when I spotted the Alice in Wonderland Party Kit from Art & Party Co, I knew it was the perfect one for her. 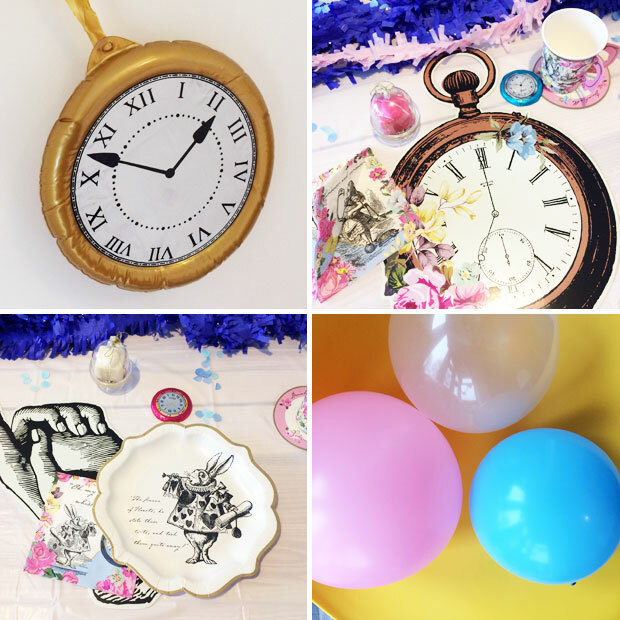 Art & Party Co is a one stop online shop for complete kids’ birthday parties in a box! Each box includes stylish party pieces, decorations and tableware to make hosting a themed birthday party easy and stress-free. There are lots of themes to choose from and when you order, you specify how many guests you’re inviting (8, 12, 16 or 20) to get the right number of supplies for your party. 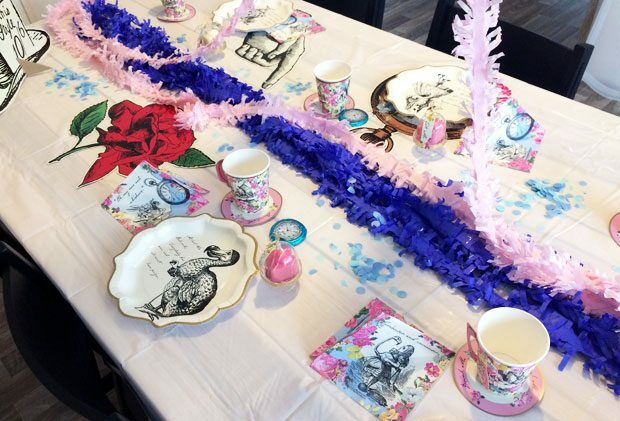 The ‘Alice’s Wonderland’ party kit (from £99) contains everything you need to throw an impressive and pretty tea party and take your guests to the wonderful world of Alice. 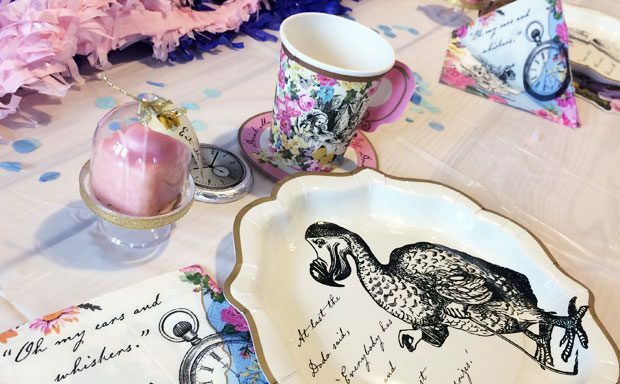 Just add cake and tea and you’re ready to enjoy a magical birthday feast! We protected our dining table with the table cloth and then added lots of decorations. 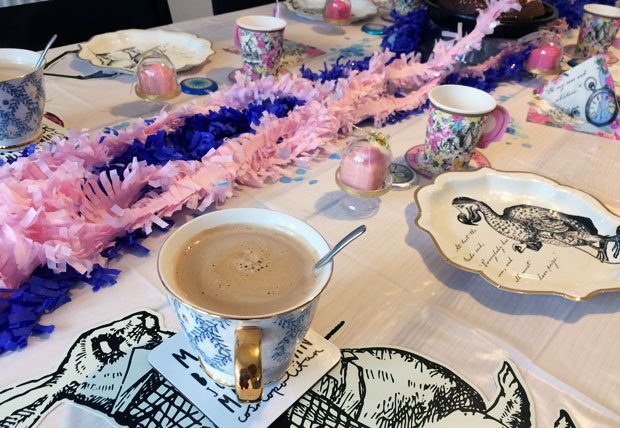 We put the pink and blue garlands down the center, then used some of the Wonderland character props as place mats and to decorate the surface of the table. We added the confetti too for extra sprinkles of colour! Each place setting had a beautiful Alice in Wonderland paper plate, coaster, cup, napkin, pocket watch chocolate and an ‘eat me’ mini cake dome that we put pink Fondant Fancies in which just fit perfectly. I really love these little domes! They’re really sturdy and look adorable! 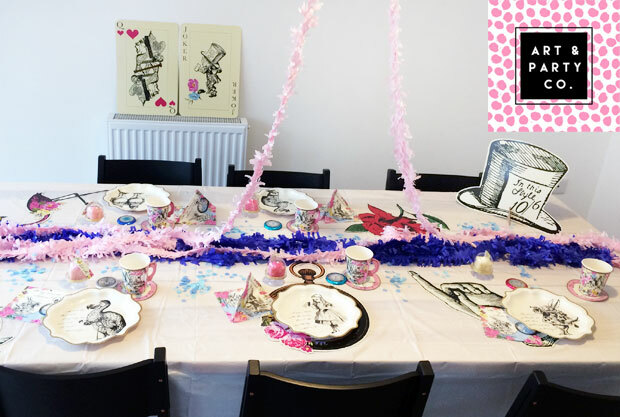 The decorations and party props were all really impressive and together created a stunning table that impressed the birthday girl and our guests! 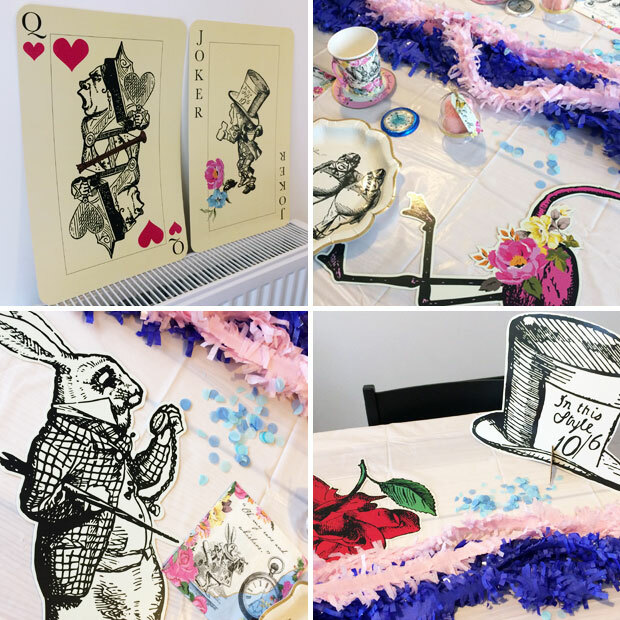 We’ve kept all the props and the garlands ready for another party — the quality is amazing and it would be a waste not to save them for a future Alice in Wonderland party. 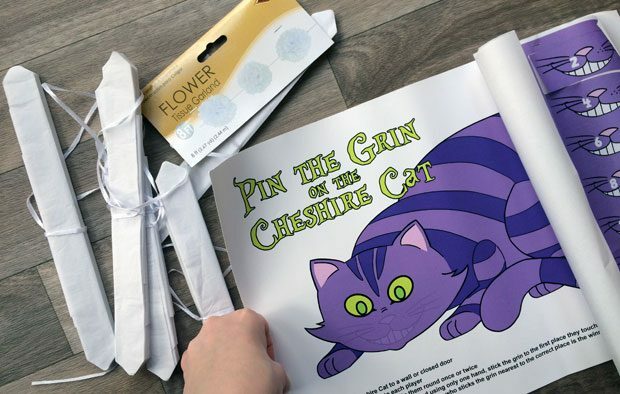 This fun and beautiful party kit from Art & Party Co made hosting an Alice in Wonderland party a breeze! 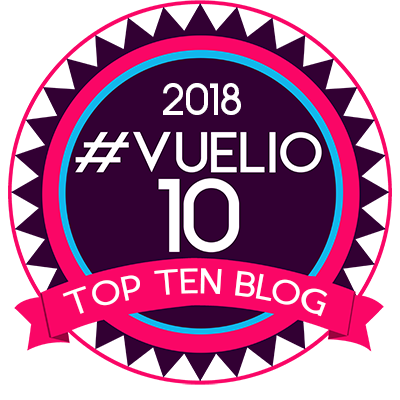 It only took us a few minutes in total to set the table up as we had all the decorations we needed ready in a box for us to use and didn’t need to plan or source anything other than choosing the theme on the website. We put the kettle on and got our cake ready and then we were ready for the party — easy peasy and stress-free! We were sent this kit for this review. As always, all my reviews are 100% honest and all thoughts and opinions are my own. Giveaway: Win Carnival Games for Nintendo Switch! 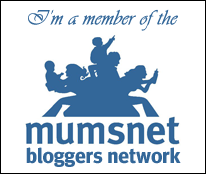 I'm a mum in my early 30s with over 15 years of childcare experience working as a private nanny, babysitter and a few years as a nursery teacher. I am also an approved foster carer and now I've got my own family too! 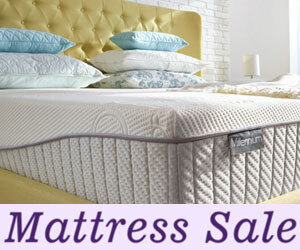 I love finding great products for mums and kids. 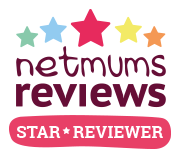 Copyright © 2019 A Mum Reviews.